You recommend a product or service to your niche market. Some of these people make a purchase based on your recommendations. 1. What does it take to become a successful affiliate marketer? 2. What are the key ingredients in becoming an affiliate marketing success story? Affiliate marketing is often touted as one of the easiest, and most effective ways, to earn money online. Although, effective, I wouldn’t necessarily say it’s easy. In the world of online marketing, consistency and hard work are key. Incorporate these essential ingredients into your online business, and your chances of success will skyrocket. Below are 3 tips every successful affiliate marketer in the online world appreciates. Operating your own niche website is the first step in creating a profitable affiliate marketing business. Having a professional-looking website is an indispensable tool when launching an online venture. Think of your website as the jumping off point for all your marketing efforts. Design a website that is easy to navigate, and will appeal to those visiting your site. Build trust with your audience by providing them with consistent, engaging, and useful content. By developing trust, your prospective buyers will be more likely to buy the products and services you are promoting. More clicks on your affiliate links translates to more revenue. First and foremost, your efforts should be focused on catering to the needs of those in your niche. What information to they deem helpful? What products will meet those needs. Address these questions before contemplating your potential profits. The internet is the information highway. Millions of people use it everyday searching for answers to whatever question they have at the moment. These people are reading, browsing, and seeking information – not necessarily with the intent to buy. By far, your most valuable asset, will be the original, relevant, and useful content you provide your readers. Who doesn’t love an article that is chock-full of handy tips and tricks that make life easier, or solves a particular problem. Content will always be king when it comes to online marketing. Quality content, will not only build your credibility, but will also lead to better search engine rankings. You will establish yourself as an expert in your field by posting consistent, free content. This expert status will endorse the products and services you promote. Building a trustworthy reputation is a tremendous step in the right direction to building a loyal customer base. Competition will always be inherent in the online world. Strive to be just one step ahead of your competitors. Building a trustworthy brand will encourage people to not only visit your site, but to continue to enjoy what you have to offer. A steady stream of traffic equals more affiliate sells and revenue. Building an opt-in email list is one of the best ways to gather potential prospects. You could also start your own newsletter or podcast. Offer value-added incentives to encourage readers to subscribe to your newsletter. Give them a reason to allow you to have their name and email address. Offers could include a free PDF or eBook, a link to view a recently-recorded podcast, access to an online course, or a coupon code for a popular product. The point is to offer a complimentary gift in return for the privilege of marketing to your subscribers in the future. Driving traffic to your website cannot be overemphasized. This all-important traffic tops the list of tools it will take to create a profitable online business. Consistent traffic will lead to a steady stream of income. That’s the goal. Commit this to memory. While creating captivating content will attract people to your site, you’ll also want to rank high in the search engines. Placing internal and external links within your content is a factor search engines use to determine rankings. It also leads to lower bounce rates – meaning people stay on your site for longer periods of time. Take advantage of e-zine and article directory sites where you can submit articles that include a link to your website. This not only gives your website exposure, but gives you access to free advertising via your website link. Get creative and submit your articles to several online directories. Your diligence in writing timely and practical content will pay off. possibilities are endless. 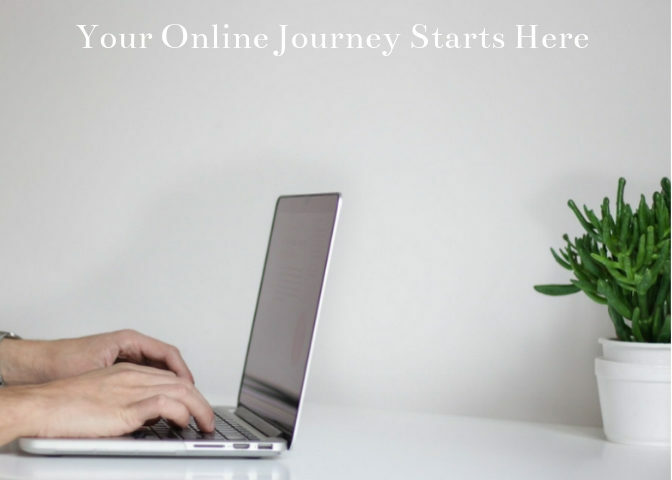 Use your imagination, creativity, and resourcefulness to launch a profitable online business that will support you for years to come. Adapt your strategies as needed. Explore new ideas and ways of doing things. Determine and implement the online strategies that lead to success. Then do it again! There are no shortcuts. Wealthy Affiliate is the online platform I use for affiliate marketing. This community of like-minded individuals is unrivaled. You can read my review here. Are you an affiliate marketer? What strategies have led to your success? Please leave your questions and comments below.